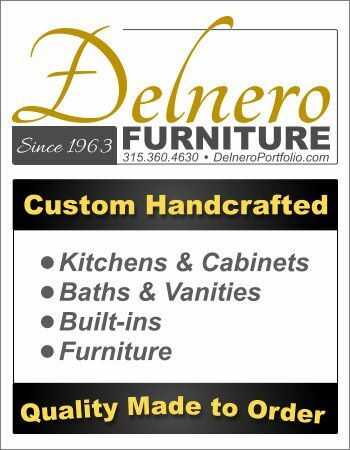 At Delnero Furniture Company we build the finest custom made furniture and cabinetry available, with a meticulous attention to detail and overall quality. We enjoy working closely with discerning clients to create offerings to fit your exact needs, combining function and overall beauty. 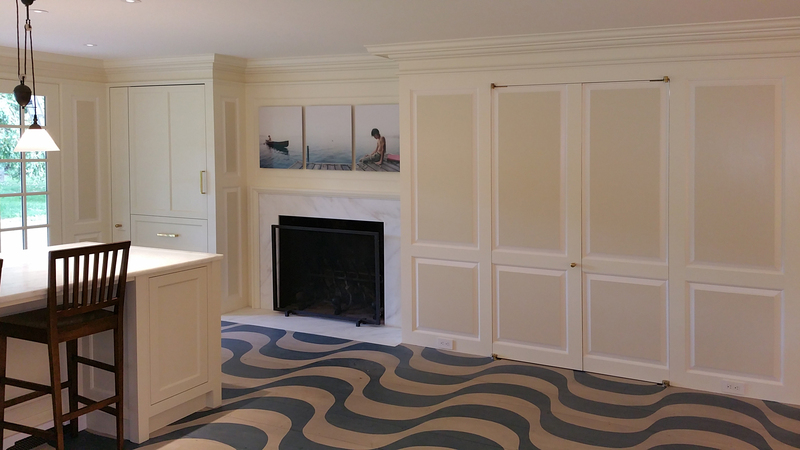 We can design and incorporate any detail or feature you may desire. Whether you provide us a photograph, or a set of drawings from your architect... anything is possible. Our first concern with any design is to review and confirm its structural integrity. 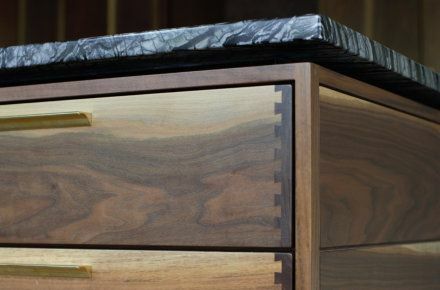 After we are satisfied a piece can be built to our high constructural standards, wood species, hardware, and finishes are selected, each is thoughtfully and intentionally chosen. We assemble using the finest and time tested construction techniques and methods of joinery and structure available. Every piece receives the time needed to create a masterpiece. Incorporating details from brass inlays to hand forged wrought iron can add artistic and practical value. We are not only versed in all aspects of cabinet and furniture building, but are also skilled in the arts of traditional blacksmithing and tinsmithing. We have a completely operational blacksmith shop on our property. Hidden compartments, false backs, and floating tops are but a few of the features that can personalize your special piece. Let us turn your imagination into reality. 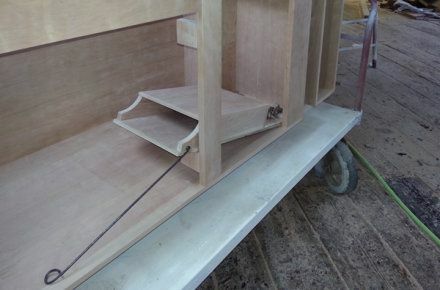 Special features, custom built into our workmanship is our specialty. Quality hardware, fixtures, and thoughtful design take any issue from concern, to conception, to solution. As furniture makers we are inspired by many styles of fine classic furniture from the past including: Colonial, Shaker, Mission, Early American, Asian, Arts & Crafts, Rustic, along with various Modern and Contemporary styles. It has been our pleasure to enjoy the continuing opportunity of working with some of the finest architects and designers in New York. Our experience partnering directly with such firms has honed our ability to work with teams dedicated in creating beautiful spaces. We use the finest materials available, and use solid woods in many areas not common in today's building practices. We also use premium "furniture grade" plywoods (never particle board or MDF composite) in areas like backs and drawer bottoms, which along with solid wood construction and old time joinery, make for exceptionally built furniture. Your investment will be long lasting, and can be passed on as heirloom treasures to future generations. We work with only the finest hardwoods and softwoods available, with over 25 species available. 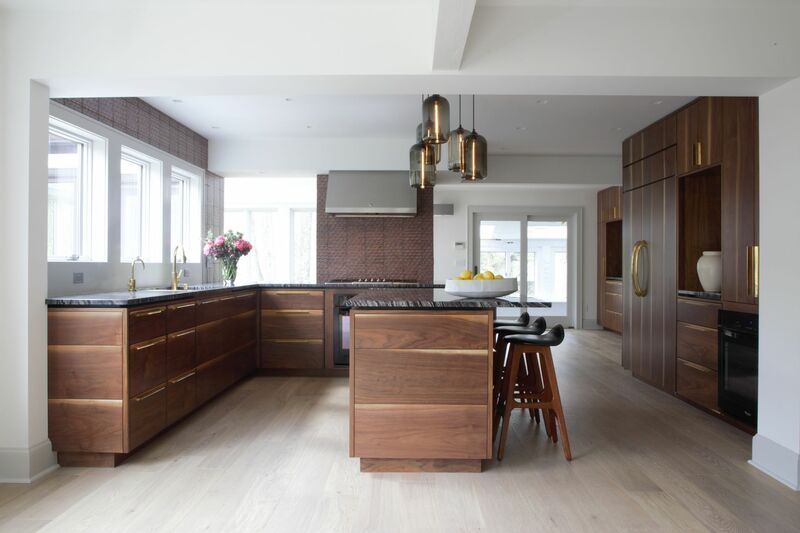 Wide planks of matched hardwoods are meticulously hand selected for each piece, in most cases from the same log to ensure perfectly matched grain and color throughout. All of our finishes are hand rubbed, giving each piece a beautiful deep rich patina. We have years of experience in achieving the perfect match or color our clients are looking for. From today's very durable Catalyzed Varnish products to rustic "worn through" painted finishes, we can achieve the finished look you desire. At times, hardware specifications begin in the construction process as with motorized TV lifts and garages. Other times the hardware chosen is the finishing touch and culmination of design and usage. We heed these requirements, and offer any quality hardware produced today. Large hand-hewn beams of chestnut, walnut, oak, cherry, and heart pine that have supported old mill floors and hay mounts for the last 100 to 200 years are spending their retirement as heirloom pieces of furniture and fine cabinetry. 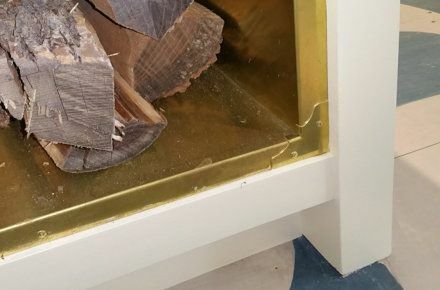 Have us reproduce or match an existing piece of furniture to make your new piece look it like it is part of a set you already have, or have seen. It is exciting to be able to have an antique look without the constraints of size or availability. We have no assembly lines, and everything is completely built to order. 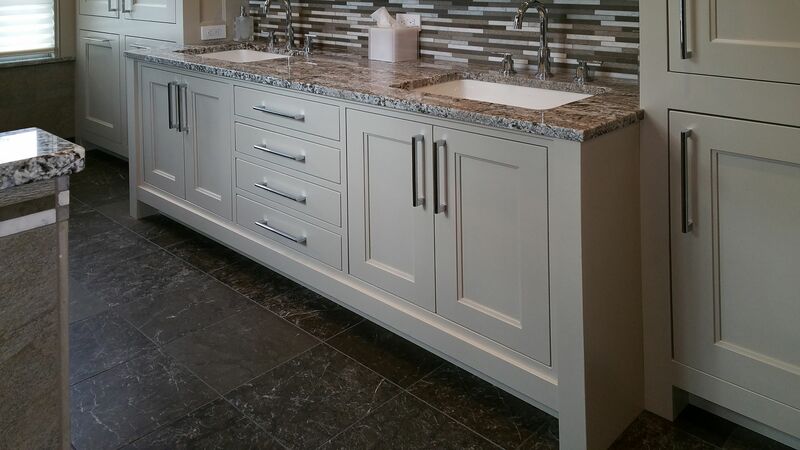 Most manufactures of kitchen cabinetry today, fill warehouses full of "standard sized" cabinets. They then design your kitchen utilizing their pre-made cabinets, connecting them with disguised fillers. 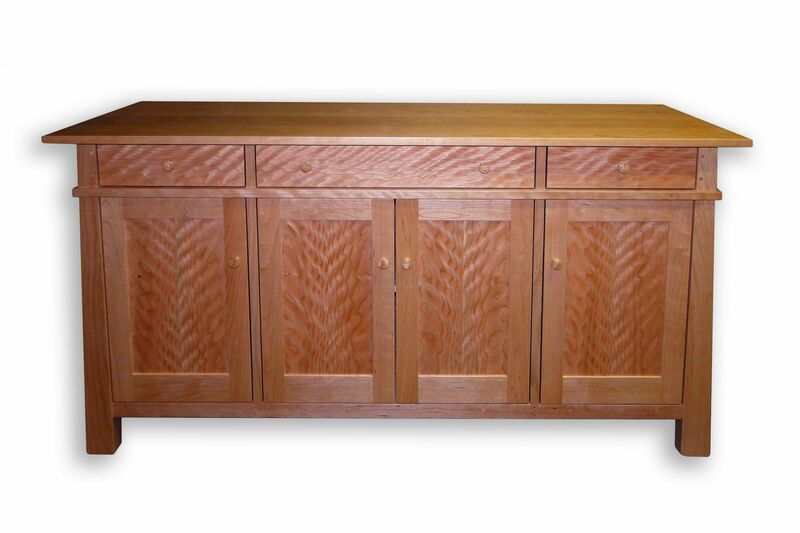 We build each cabinet to span whatever dimension needed to create a seamless "built in" look. We deliver within a 10 hour radius of our New York facility. Have us personally deliver and install your custom piece, or ship to you or your contractor (anywhere) in a shipping crate designed and built by us to protect your heirloom investment. Every piece is made to last a lifetime and become an heirloom to pass on to future generations. Our guarantee is lifetime. 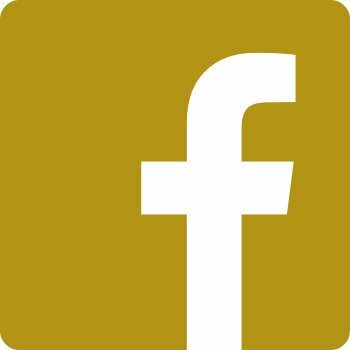 Owner, 3rd Generation Master Furniture & Cabinetmaker, Artisan, Designer, Blacksmith, Tinsmith, 44 years experience, 32 years running the business. 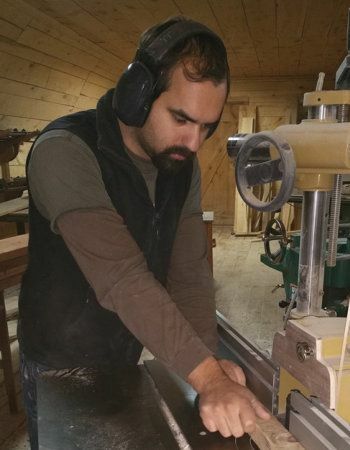 Partner, 4th generation Journeyman Furniture & Cabinetmaker, Completed 5 year apprenticeship under Michael Delnero. 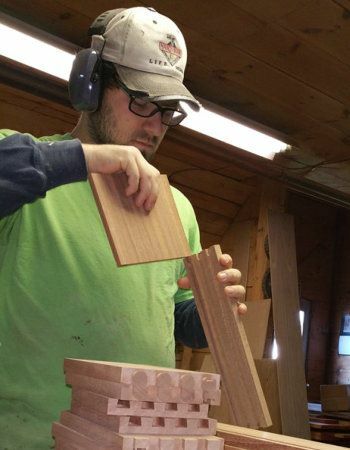 Partner, Journeyman Furniture & Cabinetmaker, Completed 5 year apprenticeship under Michael Delnero. 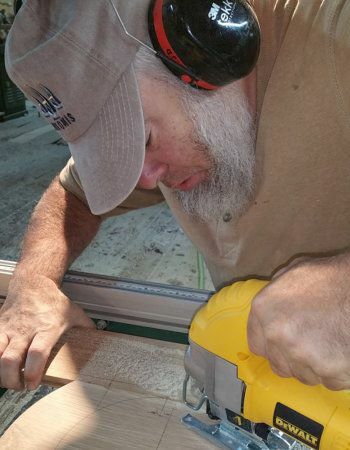 Part Time Employee, Woodworker, Craftsman, Wood Turner.